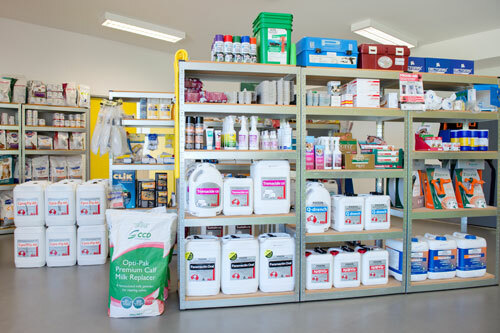 Crookwell Veterinary Hospital stocks a wide range of products and accessories for both small and large animals, and our farm animal merchandise directly supports individual flock and herd management strategies. Crookwell Veterinary Hospital was purpose-built to provide a dedicated space for farm animal merchandise and we offer a comprehensive range of drenches, vaccines and external parasite treatments for sheep, cattle and alpacas. 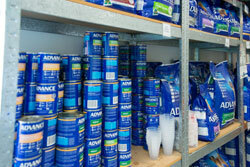 We also stock drenches and vaccines for horses. We differ from other rural merchandise outlets by directly linking preventative health medicine to the correct diagnosis of herd and flock diseases. This is critical to our merchandising of large animal product, and we do this through our own laboratory services. By recommending products such as sheep and cattle drenches and vaccine on the basis of our in-house pathology test results, we ensure the right product delivers the best outcome for each property and seasonal situation. Too often expensive drench is either wasted when it’s not required, or the wrong product is used, potentially leading to drench resistance. Vaccines for diseases such as Pestivirus may be recommended after laboratory confirmation and herd profiling. At CVH, by accurately monitoring worm levels through in-house faecal egg testing, we can save producers significant operating costs. And if a product is purchased from CVH as a result of faecal egg testing, we provide FREE follow up testing in 10-14 days to assess the efficacy of that treatment. Our vets will design control programs that minimise chemical use and that are specific to your individual farm situation. Call us to discuss how our combination of our laboratory facilities and farm animal product can assist with your flock and herd management. 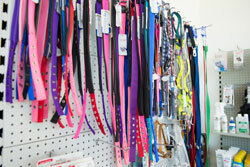 For companion animals, we have a great pet store right in our small animal waiting room – the perfect opportunity to ensure your dog or cat has quality low-allergy shampoos and conditioners, grooming gear, the funkiest collars and leads, the warmest (and most fashionable) jackets for Crookwell winters, and the cosiest baskets and rugs. 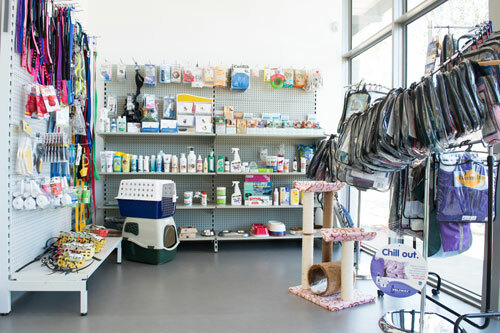 Our merchandise is also focused on your pet’s health and wellbeing, with high quality worming, flea and tick preparations, and a full range of premium Advance pet food, suitable for puppies, kittens, pregnant and working dogs right through to overweight pets and ageing dogs and cats in need of extra special nutrients. We also stock Hill’s Prescription Diet for pets with specific problems such as kidney disease and urinary problems in cats, and Royal Canin and Eukanuba veterinary prescription diets.